The man was pronounced dead at Tullamore hospital. 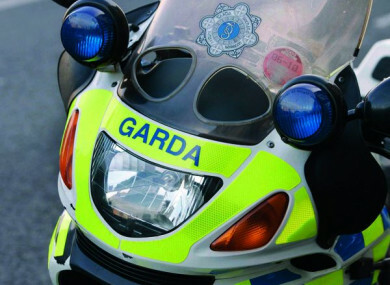 A 70-YEAR-OLD man has died after he was hit by a lorry in Ferbane, Offaly this morning. The crash happened on the Ferbane to Athlone Road on the outskirts of Ferbane at 7.30am. The pedestrian was seriously injured and taken by ambulance to Tullamore hospital where he was later pronounced dead. The lorry driver was uninjured. The road was closed to facilitate a forensic collision examination, it has since been reopened. Gardaí at Birr, Co Offaly are investigating the single vehicle fatal road traffic collision. Officers are appealing for witnesses or anyone with any information, in particular anyone who may have been on that stretch of road between 7am and 7.30am to contact Birr Garda Station on 057 916 9710, the Garda Confidential Line 1800 666 111 or any garda station. Email “Man (70) dies after being hit by lorry in Offaly”. Feedback on “Man (70) dies after being hit by lorry in Offaly”.